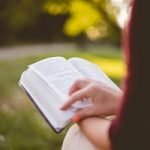 What Are Good Writing Skills? 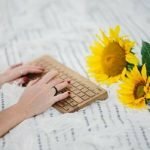 The question of what are good writing skills is a key point in starting any written work of a high quality, as it defines the main requirements every good writer should rely on. 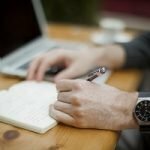 Being a significant part of communication, good writing skills are of the utmost importance not only for people whose job titles implies writing, such as journalists, PR professionals, novelists or poets but also for those individuals whose positions do not presume writing on a daily basis. Those who are aware of the benefits of what are good writing skills are considered as more credible, competent, and intelligent personalities than those with a lower level of literacy. Therefore, it is equally important not only to understand the definition of good writing skills but also to make a full advantage of them. 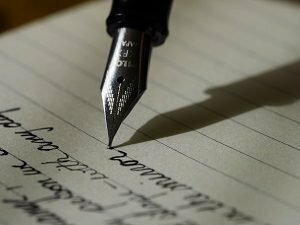 The art of efficient writing belongs to the type of skills that are extremely useful in everyday life, as they help to convey necessary message with clarity. For the reason of that, each writer who is aimed at performing a successful work should be aware of the good writing importance and its main characteristics. Precision and clarity. Good writing should include the information that makes sense, does not confuse readers and forces them to constantly read between the lines. Readers should not care about what is going on, they should catch the train of writer’s thoughts almost immediately. Clear organization and structure. Clearly organized and structured work helps to capture the main idea of the topic without any difficulties, provides a better understanding to the readers, and success to the writer. Topicality of ideas. Good writing piece should include only relevant ideas that would be oriented to a certain target audience and correspond to their interests. Word choice and grammar. Good writing skills presume the appropriate vocabulary, style, use of words, and structure of sentences. Imprecise data and facts are the worst mistakes of writers that lead to misunderstanding between the readers and the writer. Addressing innovative and unhackneyed ideas to the public is of a great value for the development of the literature as well as other sciences. Good writing skills that include grammar, spelling and punctuation are determinative in a great variety of everyday situations. First of all, they are necessary for students of colleges and universities to complete homework and test papers. They are also useful for the communication with other students and instructors via emails or social networks. Secondly, strong writing skills are necessary for a job application, especially during preparation of the application materials such as curriculum vitae, cover letter, and application questionnaires. The quality of writing skills is a factor that determines the job title as well as the wage rate. Thirdly, good writing skills are a key factor to success in a business environment. Almost all business positions presume the presence of strong writing skills that would assist in communicating ideas and concepts of the company with customers. Besides, good business writing skills are necessary for the successful communication between the company members, as the instructions for projects provided by management for their subordinates should be clear and concise. Thus, it may be concluded that good writing skills cover different scopes of human activity and, therefore, they should be implemented in life by each individual in particular.